Development studio, Quantic Dream, are no strangers to creating emotional story driven content. The studio’s hit title, Heavy Rain, explored cinematic storytelling and set a new standard for interactive narratives in the PS3 era. Detroit: Become Human is Quantic’s latest project and it has raised the bar even further. Telling the tale of three futuristic androids, Detroit: Become Human makes gamers face the consequences of their decisions as every action has a far reaching reaction in its cybernetic future. Tough decisions will need to be made and philosophical questions abound in this title. Players will slowly be introduced to the various characters over time. However, right from the get go, the game makes it clear to you that your choices matter and make a world of a difference to how the story plays out. Initially players will take control of Connor, a special investigations android dispatched to negotiate with an android that’s taken a little girl hostage. Chapter 1 serves as a tutorial of sorts but even this can have far reaching implications. As Connor, players can resolve the hostage situation in a multitude of ways such as convincing the android to let the girl go or by straight out shooting at it. 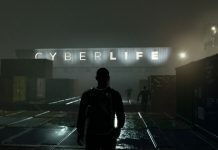 Androids in Detroit: Become Human are human-like machines that have been created by Cyberlife, a robotics company that has revolutionised the world with their technology. Androids may look like humans, act like humans and speak like humans but are machines at their core. 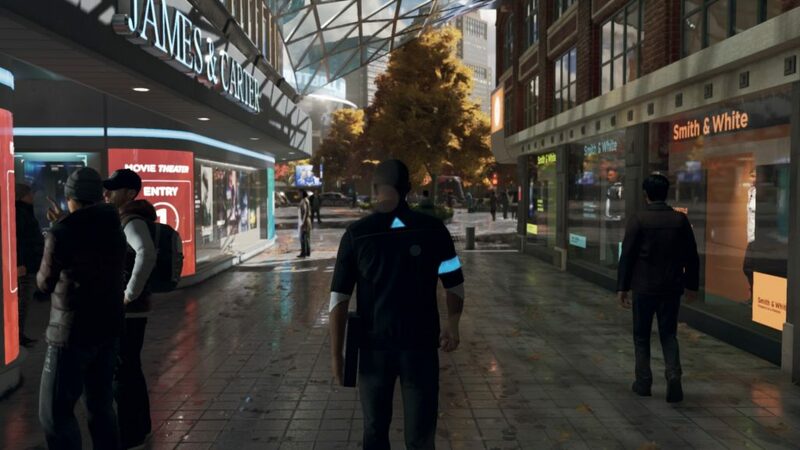 Cyberlife’s androids are found everywhere in Detroit, which is the home of the company’s headquarters. Cyberlife’s androids are an essential part of daily life and have even replaced humans in certain jobs, leading to unemployment and resentment among a lot of the human populace. Despite all the technical prowess and genius behind the android’s design, seeds of dissent have been sown. Androids, like the one that Connor has to deal with in the first chapter, have been disobeying orders increasingly often. The game refers to androids that have disobeyed orders and their programming as “Deviants”. Deviants and “deviancy” (Straying from pre-programmed code) are the key concepts around which the entire plot of the game revolves as players will soon discover. Does a machine that can think for itself deserve to live free? 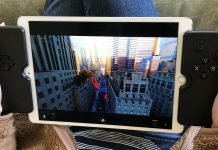 Are the androids nothing but pieces of plastic and metal ? Are they robots to be used and then thrown away ? What separates an android from a human being? Can a machine have consciousness? Detroit: Become Human asks these hard questions through a story told from 3 different perspectives. 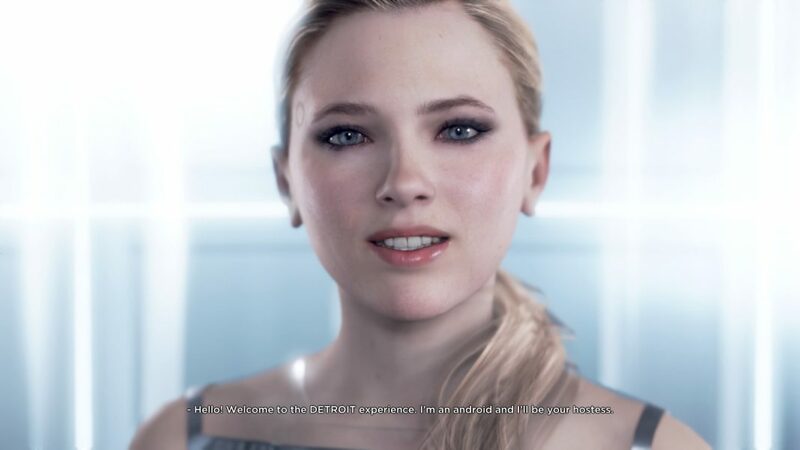 In addition to Connor, players will assume the role of Markus, a caregiver android that was gifted to an elderly famous painter; and Kara, a housekeeping android that can cook, clean and look after children. Connor’s story focuses on tracking down deviants and solving the mystery surrounding deviancy, Markus’ involves his quest for equal android rights and Kara’s involves taking care of a little girl named Alice. The game splits the story into chapters that play out in an interactive, almost TV series-esque manner. 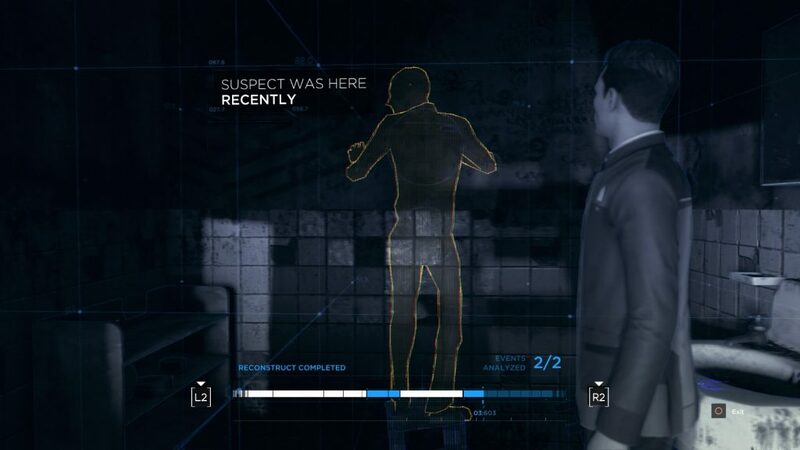 A segment with Connor for example will progress up until a climax and then the game will cut to the next segment where players will take control of Markus and then lastly Kara. What this means is that the story is divided into bite-sized chunks that make it easy to pick up and play. 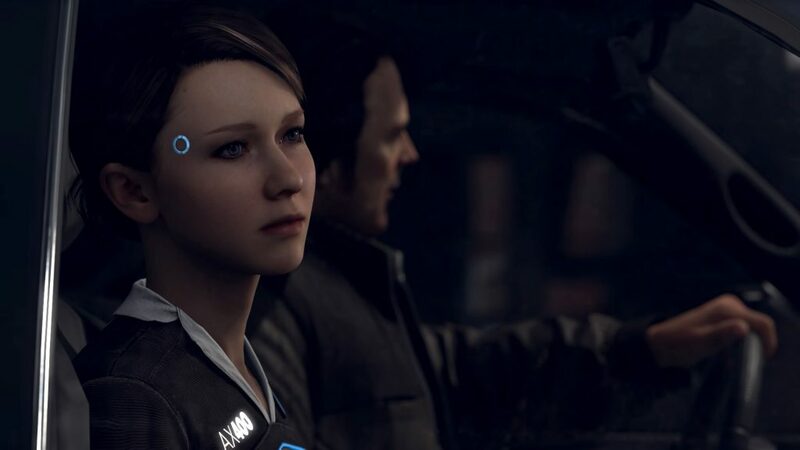 Gameplay in Detroit: Become Human is quite similar to Heavy Rain. Players will move the character they are playing as around an environment and investigate certain objects or talk to people which may trigger cutscenes. Pressing the R2 button will freeze time and highlight objects or objectives. The cutscenes are interactive with various on-screen dialogue options being displayed or quick time events (QTEs) popping up where certain buttons need to be pressed. A scene reconstruction option is also made available at times where the android you’re playing as is able to calculate what happened in an area or what will happen should they decide to do something. As such, Detroit: Become Human is far less video game and far more interactive story. 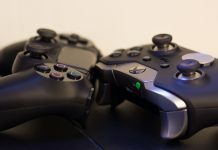 There are combat segments but these involve pressing buttons at the right time or repeatedly mashing a button while the action goes on on-screen. 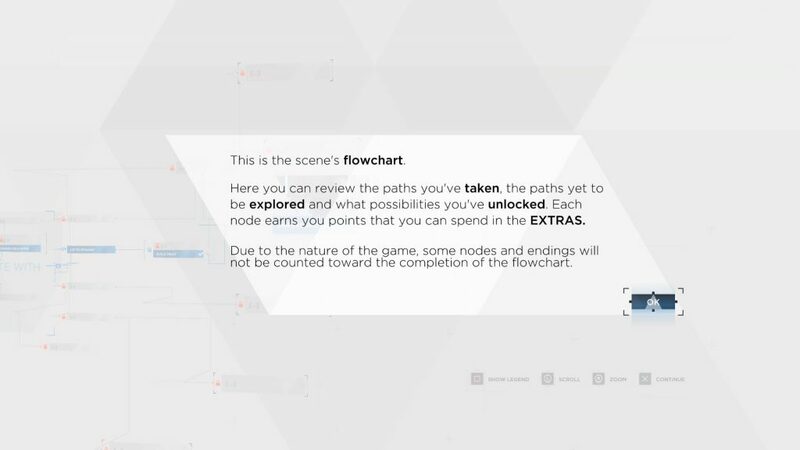 Making choices in the game have an effect and at the end of each chapter, a handy flowchart is displayed which indicates the multiple story branches that could have been explored had you chosen differently. 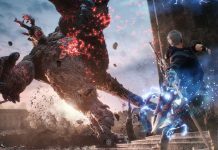 This means that players are encouraged to play through the game multiple times or replay specific chapters to get the desired outcome. Most notably though, when making choices, there’s often a clear-cut distinction between a pacifist or aggressive response with additional options being unlocked based on information you’ve obtained previously or on your friendship status with a particular character. Playing through the game’s story once is not enough to experience it in all its glory. There are multiple endings to be viewed and one person’s game experience may be completely different to another’s based solely on the choices they’ve made. The story however is still linear in nature with the player being coerced through a set overarching path with different branches contained within. The flowcharts displayed in the chapter select option are indicative of this. 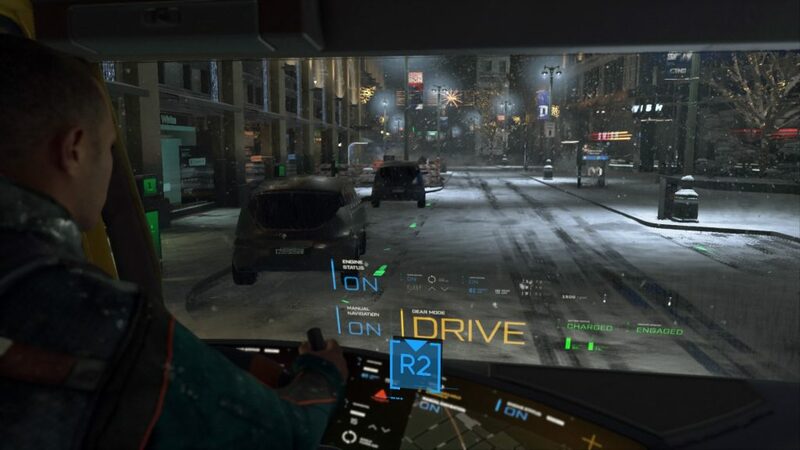 The game has a cyberpunk aesthetic but Quantic haven’t gone overboard with it. Everything seems realistic enough to belong in our own near future and thanks to the game engine they’ve used, Detroit: Become Human is beautiful. Character models stand out the most and for a game with such a strong focus on story, the fact that facial animations and character models are so realistically detailed adds a level of complexity and believability behind what’s going on on-screen. Players will feel a bond with the characters, both human and android, and the game will grip you enough to keep you coming back for more. The soundtrack used in Detroit: Become Human is fantastic too with music that sets the tone and fits each story segment perfectly. 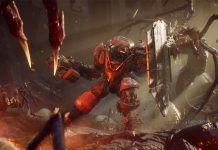 The voice acting in the game is great thanks to its star talent line-up including the likes of Valorie Curry, Bryan Dechart, Jesse Williams and Clancy Brown. My only gripe is that when replaying the game or a certain chapter, the inability to fast forward dialogue can be infuriating as you have to sit through an entire conversation again to get to the decision making segments.